Swaddling is an ancient technique that has been practiced by parents for thousands of years. 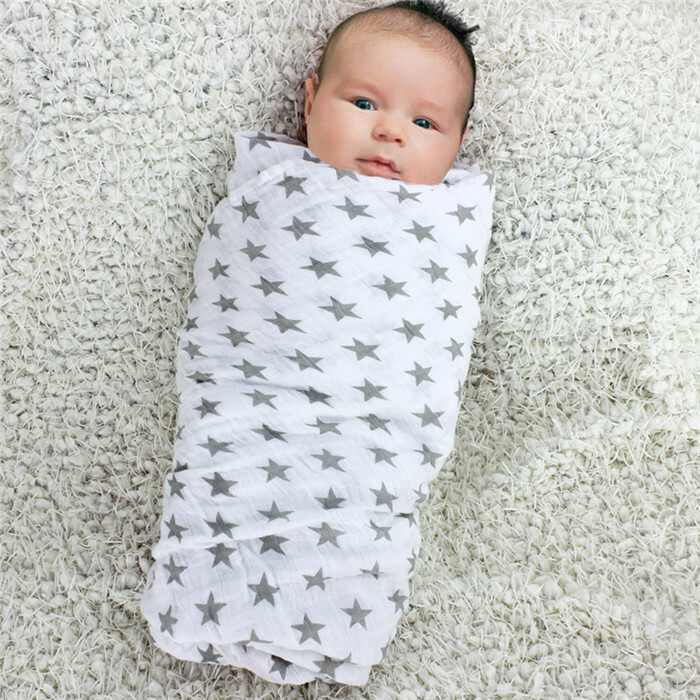 In this blog post we will explain what swaddling is and how to swaddle your baby safely to avoid the risks that can be associated with incorrect swaddling. We will also talk about some of the different options available to ensure your baby is swaddled safely. Swaddling consists of wrapping a newborn baby in a light weight cotton or muslin wrap. 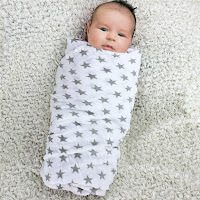 If done correctly, swaddling can be an effective way to calm newborn babies (usually up to 3 months old) to help them fall asleep and reduce frequent waking. The snugly wrapped effect around the baby's body resembles the mother’s womb. More recent studies have shown that wrapping babies too tightly with their legs held straight can lead to hip dysplasia and dislocation. So, when wrapping babies, it's now recommended to leave enough room for their legs to move freely. SIDS and Kids website has a video which shows parents and healthcare professionals how to wrap babies so their hips are not restricted. You can watch the video here. Spread the muslin wrap out flat with one corner folded down. Lay baby on its back on the blanket, with their head above the folded corner ensuring face up. Straighten baby’s left arm, and wrap the left corner of the blanket over baby’s body and tuck it between right arm and the right side of body. Then tuck the right arm down, and fold the right corner of the blanket over baby’s body and under its left side. Make sure baby’s hips can move and that the blanket is not too tight. As soon as your baby shows signs of rolling over on to their stomach on their own accord, they should no longer be swaddled. Rolling over usually occurs between 2-4 months of age but can sometimes take longer. You should cease swaddling your baby as soon as they show signs of rolling over due to increased risk of sudden infant death syndrome (SIDS) when babies are placed or roll onto their stomach's. If your baby repeatedly manages to get their arms out of the wrap on a regular basis, this implies baby does not like to be swaddled and also a sign to stop swaddling. Aside from safe swaddling SIDS and Kids website has some further tips to ensure you give your baby the safest sleeping environment possible. Plus they have created a safe sleeping application you can download onto your phone. When it comes time to stop swaddling your baby, it is important to do it gradually. Start transitioning by leaving one arm un-swaddled. Once they are comfortable with one arm out you can transition to both or arms un-swaddled. Eventually, you will build up to the point where you are not swaddling at all. The idea is that this slow, gradual transition makes it easier for a baby to get used to sleeping without being swaddled. Love to Dream has a fantastic range of swaddle suits which are an alternative to traditional swaddling using a muslin wrap. Their 50/50 range comes with zip off arms so that you can easily transition one arm at a time being left out. What to use for Swaddling Babies? For traditional swaddling as opposed to a swaddle suit All4Ella have created a wide range of luxurious Australian designed Muslin Wraps. They are super soft 100% cotton muslin wraps. These are the biggest and the best muslin wraps we have found. Each wrap is 1.2 x 1.2 meters and have already been pre shrunk! 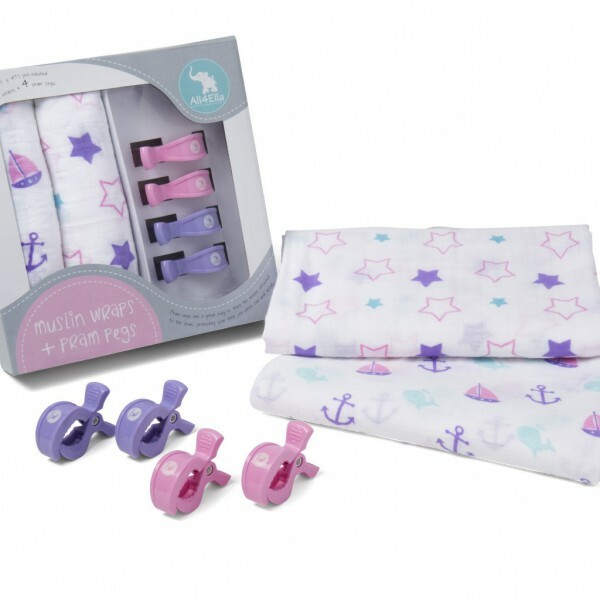 Great value too at only $12.50 per wrap when sold with 2 Wraps 4 Pram Pegs as a box set at $39.99. Swaddling can be a very effective tool for parents to get their newborn babies to sleep and keep them asleep for longer periods however it is extremely important that safe swaddling along with safe sleep routines are practiced. This will help minimise the risks associated with incorrect swaddling. In our next blog post we will be focusing on general health and well being for Women along with some tips for keeping healthy through pregnancy and throughout motherhood.